A local demonstration at the Mississippi region, during “Freedom Summer”. 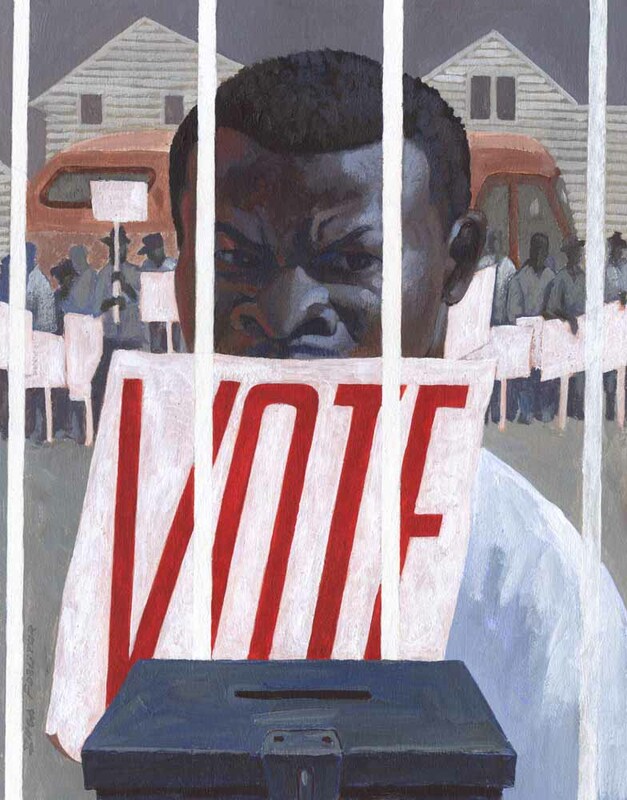 An African American is holding a poster with word “VOTE”. A ballot box is in front of him.